Yuji Naka was instrumental for the creation of Sonic. He programmed the very first game, and continued to work on the series – as well as SEGA projects – for over two decades. Naka would eventually leave SEGA in 2006 to form his own studio Prope. Earlier this year, he joined Square Enix. Things could have turned out differently for Naka had he been at Nintendo after leaving SEGA. In fact, he really wanted to make that happen. In a classic Nintendo Dream interview, which has been newly-translated by Shmuplations, Naka talks about how he actually drove to Nintendo’s headquarters and hoped to receive a phone call from the company – though that sadly never happened. This may open an old wound for you, but… (laughs) You quit Sega right after you made Sonic, correct? And I heard that you actually approached Nintendo after you quit…? Naka: While I was reading those books, I got a call from a third-party developer asking if I would come work for them. But the truth is, I was holding out for a call from Nintendo. 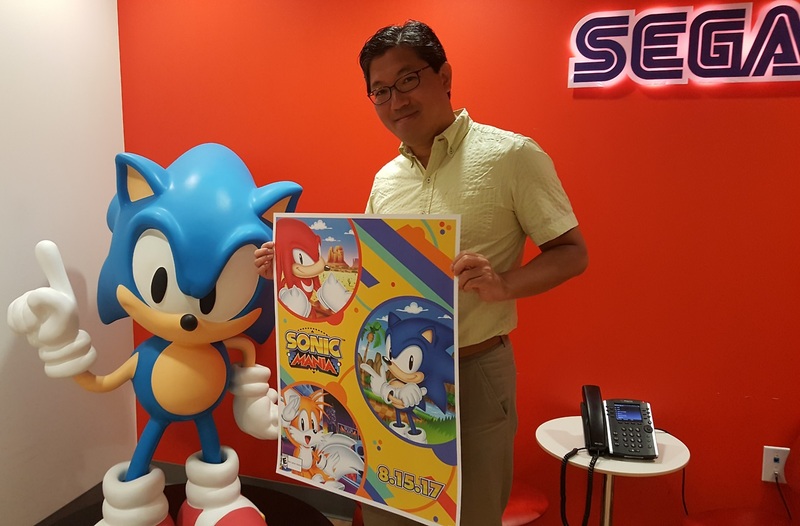 Naka: The reason I thought that is, a few months before I quit Sega, I heard a story about another programmer from a big gaming company who had quit his job, and was then called by Nintendo. I was like, “Wow, that could happen to me too!” (laughs) So when I quit Sega I had this faint hope that I’d be getting a call… but it never came. (laughs) It was sad.